Going on vacation can sometimes be as stressful as being at work. 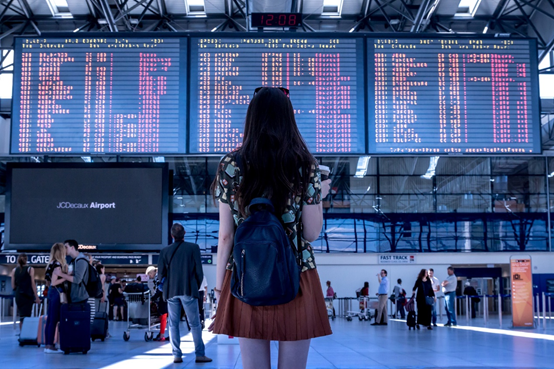 With so much to plan — from creating an itinerary, to booking your flights and hotels and comparing prices — a “relaxing” holiday can oft times go the opposite route. 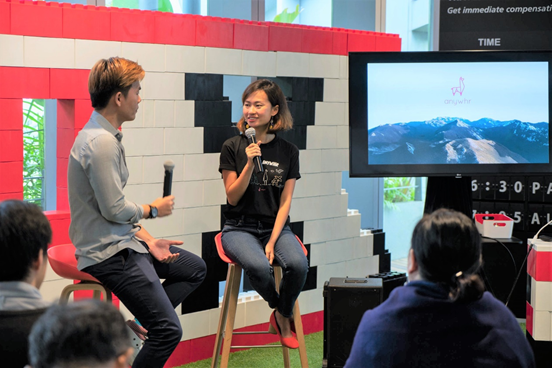 Understanding the challenges faced by travellers today, Zelia Leong co-founded Anywhr, a homegrown start-up that curates bespoke travel experiences. There is one catch: you won’t know your destination until you reach the airport. Thanks to its unique “surprise trip” concept, Anywhr has seen rapid growth — now having its office space compared to its early days, when staff worked out of a Starbucks outlet. We caught up with Zelia to find out more about her start-up experience and inspirations from her travels. 1. Anywhr is such an interesting and creative venture! What inspired this idea? I was fortunate to have travelled quite a bit with my family when I was a child. And when I got older, I began to seek different ways of travelling — away from what the usual tourist was familiar with. I travelled solo around India and South East Asia, and did a six-month trip across Europe. I went to places I never knew existed, made friends that became like family, and had so many great moments — all without a plan. I simply followed local recommendations. I realised that it wasn’t the good food that I ate during the trip, nor the beautiful cathedrals and famous landmarks that I remember the most. It was my own journey. I cherished my self-discovery and the precious connections forged with the people I met. I wanted to share that with the world, and let more travellers have that experience. Anywhr was started with a mission to change the way we live through travel. It is the journey and not the destination that matters. 2. Anywhr is an innovative solution in the travel industry. What are some of the highs and lows you’ve faced in your start-up journey? Every day I count my blessings and feel super happy when I sit in my office with my team — even having an office feels unreal to me! We started this idea at a Starbucks and on the floors of shopping malls so that we could use their WiFi. Seeing our team grow strong has been a high of the journey. Knowing that we have a group of people who support, encourage and mentor us makes all the difference. The best high is also scrolling through #GOANYWHR on Instagram and seeing the thousands of Travellrs’ lives we’ve changed. Lows are when things never go according to plan and that’s always the case. I’m sure many entrepreneurs can relate to this. When you think you have it all under control, you’re either not going fast enough or totally wrong. Putting out fires makes me want to do better and build better things to help more people. At the same time, it serves as great lessons for myself and my team. One of our values is to “Be Possible” — we make things happen, and never take no for an answer. 3. Lovely quote you shared. There is another wonderful one by Gustav Flaubert: “Travel makes one modest. You see what a tiny place you occupy in the world.” What are the lessons that you have learned from travelling? One of the books that inspired me the most is The Art of Travel by Alain de Botton. It talks about the beauty in taking journeys, instead of merely arriving at destinations. Travel taught me to appreciate the journey, the small moments, the connections forged with others and seeing the world with fresh eyes. This has altered my worldview and every journey has been precious to me. 4. 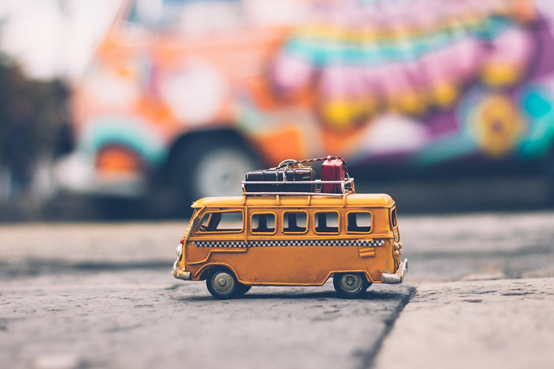 Surprise trips sound extremely exciting but they can be daunting. What has the feedback been from your customers? Anywhr trips are far from being a surprise. It is a 100 percent personalised experience, driven by data and our trip curators. Each trip is planned according to travel preferences and intention. They appreciate that we do all the leg work from research and planning to booking and crafting the eventual trip. We understand their travel needs and wants based on their replies to our questionnaire before matching them with our extensive database of global destinations. They like it that we consider all factors of the trip, from destination weather to local transfers and dietary requirements. 5. Can you share an interesting story from one of your customers about their travel adventure? We sent Ning and her mother on a trip where they marvelled over a beautiful coastline that was coated with silky black volcanic sand. They also bonded over sampling the finest tea that they ever had. It was a great adventure for the pair who focused on spending quality time with each other instead of worrying about planning the next activity. 6. What are some travel patterns or observations you have observed through the years? Similar to data from the Singapore Tourism Board, travel spikes occur during the holiday seasons in June and December. We also get a lot of requests for long weekend trips. Since our inception two years ago, we’ve served thousands of Travellrs across various regions. The longest Anywhr trip was a month across four different countries. We’re constantly seeking to plan better trips and deliver better experiences for our Travellrs around the world. I also meet our Travellrs whenever I can, to learn more from them and be inspired by their stories. 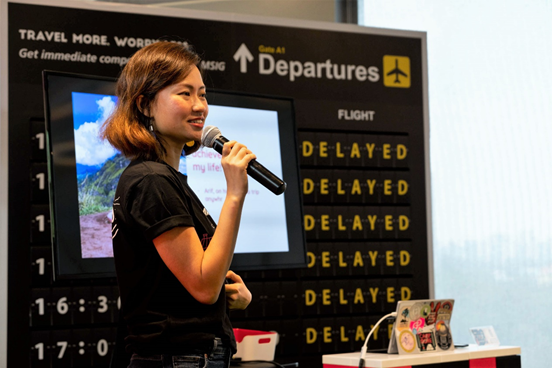 Zelia Leong is co-founder of Anywhr, which curates personalised trips to less-travelled destinations. Founded in 2017, the company is the first to introduce the concept of surprise travel in Asia. 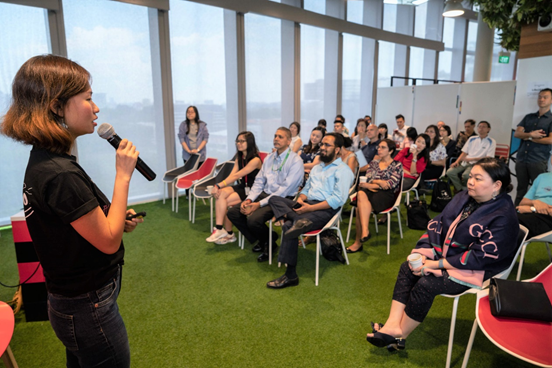 Zelia spoke at DBS Asia X, the bank’s innovation centre, as part of DAX U — a series of learning clinics to promote an innovation culture.